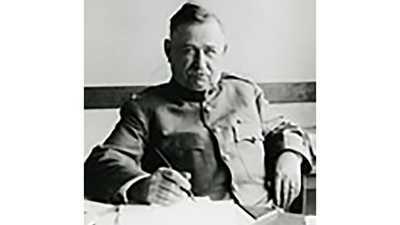 During the last days of August 1918, Navy physician J.J. Keegan, stationed at the Chelsea Naval Hospital overlooking the waters of Boston Bay, began to hear rumors of an unusual epidemic taking form just across the bay at Commonwealth Pier. Keegan had expected a slow August, stationed as he was far from the European battlefields of the Great War. He had expected to find himself treating the occasional sunburn or sour stomach as thousands of inductees — strapping young men in the prime of life — passed through Boston en route to taking on the Germans across the sea. But as news spread about an illness sweeping through the large, noisy sailors’ barracks known as the Receiving Ship, Keegan considered how to fight a silent enemy just making its presence felt on US shores. As sailors and soldiers fell ill, doctors were puzzled. Little did Keegan know that the influenza he was seeing was actually making its second appearance in the US. It had likely originated at Fort Riley, Kansas, the previous spring and accompanied unknowing troops across the Atlantic. Now, the sailors filling the wards of Chelsea Naval Hospital quickly overwhelmed the resources of medical professionals. 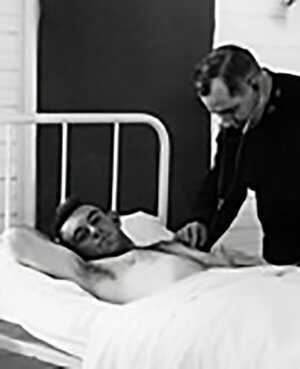 The men Keegan saw were suffering from no common flu—a nuisance ailment resulting in sniffles, aches, a low fever, and a few days of bed rest. Rather, the sailors coming into Keegan’s wards, many displaying a bluish complexion with purple blisters, had been leveled by hoarse, hacking breaths, barely supplying enough oxygen to keep them alive. As confounded as doctors were about this ailment, they were certain of one fact—this was no ordinary flu, and the number of its victims was growing. 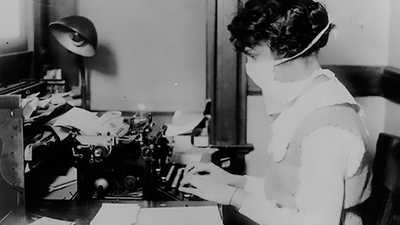 Within just two weeks of its first appearance, two thousand officers and men of the First Naval District had contracted influenza. As bracing as these numbers were, more shocking to medical professionals was what was found within the bodies of the dead: lungs soaked with a bloody, foamy fluid that seeped out from beneath the physician’s scalpel. What the fluid contained, what caused it to drown the lungs, remained a perplexing mystery. 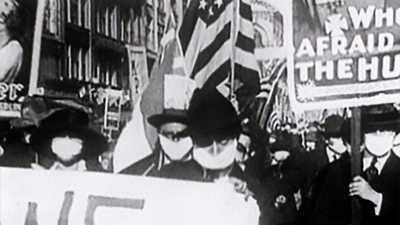 By September 11, 1918, influenza had spread to Boston. For young Dr. Keegan, these were deeply troubling days. Not only was he forced to stand helpless as legions died before his eyes, he had to live with the knowledge that he was exposing himself to their fate just by remaining within their airspace. Additionally, Keegan and his colleagues began to question some of the assumptions they had made about the science of infectious disease. Theirs was the age of modern medicine; an age when scientists at last had a grasp of how disease was caused and transmitted, and more importantly, how it might be prevented and cured. Keegan and his colleagues now found themselves chagrined, yet exhilarated, by the challenge before them. As they dove into research and experimentation, the flu continued to cut a deadly path along the Atlantic seaboard. Reports poured in of cases appearing at naval bases from Rhode Island to Florida. As September 1918 drew to a close, Boston had lost more than 1,000 citizens to the silent, relentless killer. The deadly influenza now posed a threat to the entire nation, and the world at large.